My aunt, Dr. Nirmala Kesaree, passed away on the morning of January 8, 2016. Much respected and beloved by those who knew her, she was an iconic personality and a pillar of the community in Davanagere, Karnataka, where she resided for the past 50 years. Aunt Nimmi was one of the first doctors to practice as a pediatric specialist in India. She had studied and worked in the US and in England, but returned to India in the late 1960s with a dream of founding a charitable hospital for children. At first, she treated children for free at a clinic she set up in her own home. And eventually, after much saving, strategizing, and struggle, she opened the Bapuji Child Health Institute to serve the poor of Davangere in 1993, where she served as Director until the time of her death. In addition to this—and among many other accomplishments—Aunt Nimmi spearheaded vaccination drives that benefited hundreds of villages and tens of thousands of children in her area in the 1970s. She is also the developer of Davanagere Mix, a nutritional supplement that predates others of its kind used today by the WHO. In 2005, Aunt Nimmi was awarded the Kannada Rajyothsava Award for her many contributions to the welfare of local women and children. She was an inspiration to me and I miss her. She is survived by two sisters (including my mother), one brother, and perhaps hundreds of medical students who credit her for, among other things, bringing evidence-based medicine and higher standards to the region where she practiced. Nirmukta is running a series on Facebook in which people are invited to submit a photo and briefly comment on being "more than an atheist". An editor invited me and Usha and asked, "can you send a pic in which both of you are together? It would be great to feature more couples." I grew up in a relatively tolerant, liberal, Hindu family. We were taught that Hinduism accommodates atheism, and both my parents professed (mildly) to be atheists. Nevertheless, in my childhood, we regularly did pujas at home, recited Sanskrit prayers, and listened to or read the Hindu myths. But many of my earliest encounters with Hindu mythology awakened a rage in me, an anger at the way the stories made me feel as a girl. Long before I could understand these feelings or the reasons for them, Hinduism and Patriarchy became inseparable in my experience and understanding. And very soon, instinctively, I rejected both. At the same time, I grew up in an extremely conservative, backwards, and religiously overwrought small town in the American West, where friends and classmates regularly tried to pull me to their churches—Mormon, Catholic, Methodist, Baptist—each of them vying to save my soul in all the wrong ways, without a shred of actual human sensitivity. By my pre-teen years, I’d already abandoned all organized religion as useless, alienating, and corrupt. I wanted, instead, to discover a system of ethical beliefs that was meaningful to me. Soon afterward, during my teens, my reasoning about the manifest world and the moral world together guided me away from all theistic doctrines of any kind. But I always knew that giving up faith in god or an afterlife wasn’t enough; that’s not where one can stop questioning one's beliefs and presumptions about ourselves and our world. We still must figure out what we value, how we might construct meaning in our lives, how we relate to others, and so much else. We all know of prominent atheists who are poor role models, having built upon their atheism their own versions of dogma and intolerance, which seem counter to the purpose of a seeking mind—atheism has hardly proven a cure for unreason and immorality. Rather than bludgeoning others with my lack of belief, I feel that each of us must work to forge our own synthesis of critical reason and compassion. So I seek to continue questioning dominant and reductive beliefs and practices around gender, race, caste, class, language, the environment, animal rights, economics, history, nationality, culture, and more. I find there’s often much to learn from and admire in other people, whether they are theists or not. But I knew early on that, for me, religiosity in a life partner would be a deal-breaker, for it’s essential to me that my partner and I should share our fundamental worldviews, and non-theism is fundamental to my apprehension of the world. I have an essay in The Caravan on Ambedkar's place in the Indian imagination, and why he hasn't received his due from upper-caste Indians. "Turn in any direction you like, caste is the monster that crosses your path,” wrote Bhimrao Ramji Ambedkar, India’s foremost crusader for dignity and civil rights. That monster has always haunted Ambedkar’s legacy, polarising it along caste lines. On the one hand is his godlike presence in Dalit communities, who, out of affection and admiration, have built countless statues of him, usually dressed in a Western suit and tie, with a fat book under his arm, and in whose folk songs, poems, and calendar art he has long held pride of place. For generations, his bold, secular, and emancipatory ideas inspired many Dalit activists and writers, many of whom recall their lives in “before-and-after Ambedkar” phases. When Omprakash Valmiki, the author of the memoir Joothan: A Dalit’s Life, first read about Ambedkar’s life and work, he “spent many days and nights in great turmoil.” He grew more restless; his “stone-like silence” began to melt, and “an anti-establishment consciousness became strong” in him. Ambedkar gave voice to his muteness, Valmiki wrote, and raised his moral outrage and self-confidence. On the other hand, there remains a longstanding apathy for Ambedkar among caste Hindus. What respect he gets from India’s elites is usually limited to his role as the architect of the constitution—important, but arguably among the least revolutionary aspects of his legacy. The social scientist and educationist Narendra Jadhav, interviewed in the Times of India earlier this year, described Ambedkar as the “social conscience of modern India”, and lamented that he has been reduced to being “just a leader of Dalits and a legal luminary.” Indeed, even thoughtful, liberal elite Indians are commonly ignorant about Ambedkar’s life and social impact, both in his lifetime and in the decades since—as the scholar Sharmila Rege noted in Against the Madness of Manu: BR Ambedkar’s writings on Brahmanical Patriarchy, not only lay readers, but Indian post-graduates and academics in the social sciences, humanities, and women’s studies are also unlikely to have read him. What explains this severe disjunction in how Ambedkar is received in India? A review of The Indian Ideology by Perry Anderson. It first appeared as "No Saints or Miracles" in the Himal Southasian print quarterly 'Are we sure about India?' (January 2013), and is reproduced with permission. This online version (updated, about 10 percent larger) first appeared on 3QD in two parts: One, Two. ‘Nations without a past are contradictions in terms,’ wrote Marxist historian Eric Hobsbawm. Precursors to every modern nation are stories about its past and the present — stories full of invention, exclusion, and exaggeration — which help forge a ‘national consciousness’. Historians, wrote Hobsbawm, have ‘always been mixed up in politics’ and are ‘an essential component of nationalism’. They participate in shaping a nation’s mythos and self-perception. In his vivid analogy, ‘Historians are to nationalism what poppy-growers in Pakistan are to heroin addicts: we supply the essential raw material for the market.’ The more nationalist a historian, he held, the weaker his bid to be taken seriously as a historian. But not all historians are equally complicit. Some are deeply skeptical of the dominant national histories and claims of nationhood. ‘Getting its history wrong is part of being a nation,’ wrote the scholar Ernst Renan. The skeptical historian may even see positive value in certain aspects of nationalism—its potential to bind diverse groups and inspire collective action, for instance—but she always sees a pressing need to inspect and critique its claims, assumptions, omissions, myths, and heroes. Scrutiny may reveal that a ‘cherished tradition’ is neither cherished, nor a tradition; likewise for supposedly ‘ancient’ origins and customs, traits and virtues, arts and culture, and other qualities of life and mind said to define the essence of a nation and its people. This approach is especially common among Marxist historians (their analytical orientation defines the genre, not their views on communism). The best of them know that there is no ultimately objective history, but who yet seek to write history from below and attempt to expose the actual conditions of social life, including the divisions, conflicts and oppressions that plague any nation. This, then, is the vantage point of Marxist historian Perry Anderson’s magnificent and lucid new work, The Indian Ideology. What does the title refer to? In his own words, it ‘is another way of describing what is more popularly known as "The Idea of India", which celebrates the democratic stability, multi-cultural unity, and impartial secularity of the Indian state as a national miracle.’ Anderson offers a critique of this idea. Nationalism in India arose in the 19th century. A native elite, responding to British colonialism, began articulating a consciousness based on a new idea of India. Until then, despite civilizational continuities, the Subcontinent had no sense of itself as ‘India’, no national feeling based on political unity or a shared identity. Rival political units and ethnic groups abounded, divided by language, faith, caste, geography, history, and more. There was no historical awareness of the ancient empires of Mauryas or Guptas, or that the Buddha was Indian. This and much more of the Indian past would emerge via European scholarship, profoundly shaping ‘Hinduism’ and Hindu self-knowledge. Anderson surveys the rise of Indian nationalism and offers sharp vignettes of the minds and matters that drove Gandhi, Jinnah, Nehru, Bose, Ambedkar, Mountbatten and others. His analysis of the forces that led to Partition is astute and provocative. 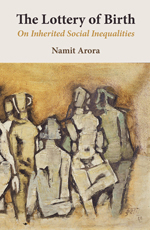 He assesses the performance of the independent nation-state and subjects Indian intellectuals to a withering critique for what he diagnoses as their comfort with ‘the Indian ideology’. Though not without shortcomings, Anderson has given us a masterwork of critical synthesis — trenchant, original, and bold — that should fuel discussion and debate for years ahead. I came across this recent and promising intellectual biography of Tagore by Sabyasachi Bhattacharya. Rabindranath Tagore: An Interpretation by Sabyasachi Bhattacharya is an attempt at an interpretative biography of Tagore. Instead of giving the mundane details of his day-to-day life, the writer weaves a fascinating account of Tagore’s struggle with the changing world around him. Bhattacharya’s basic motive is to unveil the life of the legendary figure while focusing on the intellectual evolution of his work. He tries to frame his work in the genres of biography and literary criticism — calling the result an intellectual biography. He admits that “to look at the interrelationship of the inner and outer life of Rabindranath Tagore is not easy for a biographer”. Remembered as a poet and lyricist today, Tagore was also a thinker who greatly influenced his contemporaries and successors alike. The political and social atmosphere of his time helped form his philosophy of life. Empire and nation are two inseparable discourses that emerged out of the close contact between European imperialism and Third World nationalism. A believer in the multi-faceted nature of humanity, Tagore was equally suspicious of imperialism and modern nation states and considered them as hindrances in cultural interaction. Although an eminent supporter of the Swadeshi movement, he never restrained from criticising the emerging discourse of nationalism in India for being guilty of chauvinism and parochialism. He believed in a balanced development of the individual, and by extension, the whole nation. More here. Two more reviews appear here and here. I've just ordered my copy and hope to write a review at some point. I've been reading some additional works by Tagore lately, particularly his selected essays and his novel Gora, both of which I received as gifts from a friend. Afterward, when the world was exploding around him, he felt annoyed with himself for having forgotten the name of the BBC reporter who told him that his old life was over and a new, darker existence was about to begin. She called him at home, on his private line, without explaining how she got the number. “How does it feel,” she asked him, “to know that you have just been sentenced to death by Ayatollah Khomeini?” It was a sunny Tuesday in London, but the question shut out the light. This is what he said, without really knowing what he was saying: “It doesn’t feel good.” This is what he thought: I’m a dead man. He wondered how many days he had left, and guessed that the answer was probably a single-digit number. He hung up the telephone and ran down the stairs from his workroom, at the top of the narrow Islington row house where he lived. The living-room windows had wooden shutters and, absurdly, he closed and barred them. Then he locked the front door. Certainly, Rushdie's neat oppositions between the secular and the religious, the light and the dark, and rational literary elites and irrational masses do not clarify the great disorder of the contemporary world. They belong to an intellectually simpler time, when non-western societies, politically insignificant and little-known, could be judged solely by their success or failure in following the great example of the secular-humanist west; and writing literary fiction could seem enough to make one feel, as Tim Parks wrote in a review of Rushdie's novel The Ground Beneath Her Feet, "engaged on the right side of some global moral and political battle". Indeed, such complacencies of imperial intellectual cultures were what Rushdie had bravely attacked in his brilliant early phase. "Works of art, even works of entertainment," he had pointed out in 1984, "do not come into being in a social and political vacuum; and … the way they operate in a society cannot be separated from politics, from history. For every text, a context." No text in our time has had contexts more various and illuminating than The Satanic Verses, or mixed politics and literature more inextricably, and with deeper consequences for so many. In Joseph Anton, however, Rushdie continues to reveal an unwillingness or inability to grasp them, or to abandon the conceit, useful in fiction but misleading outside it, that the personal is the geopolitical. Last night I saw an absorbing film made in 1999 on the life and times of BR Ambedkar that is now on YouTube (in English, 3 hrs). It provides a good biographical sketch of an extraordinary and inspiring man who prevailed over some breathtaking odds. This movie shows why in terms of sheer intellect, critical scholarship, and humanistic vision, Ambedkar was head and shoulders above the better known leaders of the Indian nationalist pantheon, including Gandhi and Nehru. The movie also won several National Film Awards in 1999. Also check out the 20 Aug, 2012 issue of Outlook India magazine that is dedicated to analyzing Ambedkar and his legacy. In this first of three essays on Indian history in the London Review of Books, British Marxist historian Perry Anderson takes on Gandhi (one, two, three). We might as well call this a rite of passage for historians of South Asia, and Gandhi, with his voluminous writings, iconic status, and polarizing persona, lends himself to prolific reinterpretation. Anderson sees Gandhi as alternately Machiavellian and naive, and presents many of his dubious ideas and intellectual blind spots. I agreed in particular with his take on Gandhi's anti-modernism, religiosity, and attitude to caste. Anderson considers him an overrated figure who did more harm than good, especially in his infusing the Congress Party with a strong Hindu sensibility, which, suggests Anderson, laid the ground work for Muslim alienation and the partition. More contentiously, Anderson seems to discount Gandhi's moral courage too, calls Satyagraha, his non-violent struggle, much less successful than is presumed, and argues that "contrary to legend, his attitude to violence had always been — and would remain — contingent and ambivalent." Above all though, Anderson holds forth on Gandhi with not a modicum of hauteur, posing as a clear-eyed external observer who only sees insufficiently critical scholarship, "patriotic reveries", and nationalistic hagiographies from Indian scholars. Not surprisingly, his essay has invited many critiques (see letters to the editor below the article and Anderson's response), taking some of the shine off his otherwise extraordinary account. In orchestrating these great movements, Gandhi displayed a rare constellation of abilities in a political leader. Charismatic mobilisation of popular feeling was certainly foremost among these. In the countryside, adoring crowds treated him as semi-divine. But, however distinctive and spectacular in his case, this is largely a given in any nationalist movement. What set Gandhi apart was its combination with three other skills. He was a first-class organiser and fundraiser – diligent, efficient, meticulous – who rebuilt Congress from top to bottom, endowing it with a permanent executive at national level, vernacular units at provincial level, local bases at district level, and delegates proportionate to population, not to speak of an ample treasury. At the same time, though temperamentally in many ways an autocrat, politically he did not care about power in itself, and was an excellent mediator between different figures and groups both within Congress and among its variegated social supports. Finally, though no great orator, he was an exceptionally quick and fluent communicator, as the hundred volumes of his articles, books, letters, cables (far exceeding the output of Marx or Lenin, let alone Mao) testify. To these political gifts were added personal qualities of a ready warmth, impish wit and iron will. It is no surprise that so magnetic a force would attract such passionate admiration, at the time and since. But Gandhi’s achievements also came at a huge cost to the cause which he served. UPDATE (5 Sept, 2012): Having read all three essays and upon further reflection, Anderson's account has really grown on me. I now think that most of the Indian critiques that appear below his piece are defensive and weak, and Anderson's analysis cannot be easily dismissed. While not without its problems, I now see Anderson's account as a masterpiece of critical scholarship that requires engagement, and his digs at Indian historiography are remarkably perceptive. I know I'll be returning again to these essays to dwell on their amazingly sharp insights. What I mean by truth as a cognitive notion is that it is a property of sentences or propositions that describe the world. Thus when we have reason to think that the sentences to which we give assent exhibit this property, then we have knowledge of the world, a knowledge that can then be progressively accumulated and put to use through continuing inquiry building on past knowledge. [Gandhi's] recoil from such a notion of truth, which intellectualizes our relations to the world, is that it views the world as the object of study, study that makes it alien to our moral experience of it, to our most everyday practical relations to it. He symbolically conveyed this by his own daily act of spinning cotton. This idea of truth, unlike our quotidian practical relations to nature, makes nature out to be the sort of distant thing to be studied by scientific methods. Reality will then not be the reality of moral experience. It will become something alien to that experience, wholly external and objectified. It is no surprise then that we will look upon reality as something to be mastered and conquered, an attitude that leads directly to the technological frame of mind that governs modern societies, and which in turn takes us away from our communal localities where moral experience and our practical relations to the world flourish. It takes us towards increasingly abstract places and structures such as nations and eventually global economies. In such places and such forms of life, there is no scope for exemplary action to take hold, and no basis possible for a moral vision in which value is not linked to 'imperative' and 'principle', and then, inevitably, to the attitudes of criticism and the entire moral psychology which ultimately underlies violence in our social relations. To find a basis for tolerance and non-violence under circumstances such as these, we are compelled to turn to arguments of the sort Mill tried to provide in which modesty and tolerance are supposed to derive from a notion of truth (cognitively understood) which is always elusive, never something which we can be confident of having achieved because it is not given in our moral experience, but is predicated of propositions that purport to describe a reality which is distant from our own practical and moral experience of it. All these various elements of his opposition to Mill and his own alternative conception of tolerance and non-violence were laid open by Gandhi and systematically integrated by these arguments implicit in his many scattered writings. Steve Jobs is dead. Watch once again his Stanford commencement speech, 2005. Also check out two interesting articles about him. The first introduces his biological father from Syria, and the circumstances that led his biological parents to put him up for adoption in the U.S. The second is a view into the mind of the amazing inventor he later became. It comes from an ex-colleague and the former CEO of Apple, John Sculley. And finally, from The Simpsons show, come satirical clips on Steve Mobs of Mapple, on thinking differently, and on a Mapple Store. Mehboob Geelani has an interesting profile of Arvind Kejriwal, a well-known Indian social activist and anti-corruption crusader most often associated with the Right to Information (RTI) Act. By many accounts, Arvind is the main strategist and mastermind behind the Jan Lokpal bill that is at the heart of the currently raging anti-corruption movement whose populist (and problematic) figurehead is Anna Hazare. Full disclosure: Arvind and I were batchmates at IIT Kharagpur. We lived in the same hostel, Nehru Hall, for four years and have met many times since, especially during my two years in India, 2004-6. Even in college he was articulate and self-confident, and had a quiet intensity about him. He was Nehru Hall's mess secretary in his second year and was very active in Hindi debate and theater, serving as governor of the Hindi drama society in his final year. I liked him well enough. For me, he was also a fellow Hindi belter, relatively few in Kharagpur. I can't however recall any specifics that foreshadowed his later firebrand activism, moral outrage, impassioned oratory, media savvy, and organizational acumen. Perhaps I simply failed to recognize the cues in college, or perhaps he did blossom later on, leading him to quit his corporate job and switch to a civil services career, an uncommon vocation for an IITian. Based on a 2005 conversation and hanging out with him during a movement against water privatization in Delhi, I can say that the man has derived much inspiration from Mahatma Gandhi. He told me that he would never run for office. In recent years, I have come to admire his personal integrity, courage, and dedication to fighting injustice, especially the kind that can be addressed by bringing transparency and accountability to governance. Though Hazare is the recognised face of an anti-corruption campaign that began with his fast on 5 April, Kejriwal is the architect of the movement—the man journalists swarm to, seeking an interview. At press briefings, he often sits next to Hazare and helps the self-styled Gandhian handle tough questions: Kejriwal whispers into Hazare’s ear or scribbles key points on a piece of paper lying between them. When questions are posed to Kejriwal, he responds like an impassioned professor explaining a complicated problem—piling detail upon detail with the supreme confidence that his answer is the correct one. His essential message never changes: only a powerful independent anti-corruption agency, with wide-ranging authority and minimal government interference, can cure the plague of graft—and anything less will fail. More here. Also check out an interview with and four speeches by Arvind: What is the Jan Lokpal Bill? (2011), Team Anna answers your Qs (2011), War Against Corruption Rally (2011), India Against Corruption rally in Guwahati (2011), Against Water Privatization (2007). A three-hour BBC documentary on Gandhi (2009) is now on YouTube. It does a reasonable job of covering Gandhi's life: basic biographical details, historical events, key influences, lucky breaks, setbacks, etc. Based on mainstream scholarship, it avoids many notable controversies and critiques while still conveying a sense of this immensely bold, complex, and strangely charismatic man who, despite his significant flaws, errors of judgment, and idiosyncrasies, still captivates people worldwide and has become an icon for non-violent resistance. It includes some rare historical footage as well. One of the arguments I have heard over and over again explaining the success of Indian democracy is the invocation of a civilizational ethos, our tolerance, the claim goes, is rooted in the traditions of Hinduism. While it is not entirely untrue, this idea is given too much credit. The dailts are a huge counterargument, tolerance for oppression is as much a part of Hinduism as a tolerance of other faiths. If today revolutionary groups such as the Maoists seek recruits and fail to find them in large numbers among the untouchables it is largely because of Ambedkar. At the same time Ambedkar as much as Nehru is responsible for the calm rationalism of the Indian Constitution. Gandhi lends himself to every new age anti-science fad, Ambedkar is one of our key antidotes. Far more than the Ganga or Gandhi, if writers and academics needs to make sense of India they need to spend time on Ambedkar. In the NYRB, Anita Desai reviews Great Soul: Mahatma Gandhi and His Struggle with India by Joseph Lelyveld. not because he was assassinated, nor because his noblest qualities inflamed the hatred in his killer’s heart. The tragic element is that he was ultimately forced, like Lear, to see the limits of his ambition to remake his world. Yours truly has won the 3 Quarks Daily 2011 Arts & Literature Prize, which includes $1000. I would like to thank the editors of 3QD for hosting this contest and for running an amazing site that has certainly turned me into an addict. It never ceases to amaze me how they can find such high quality content day after day. No wonder 3QD has attracted such a smart audience. Thanks also to Laila Lalami for judging the final round of the contest. If you have not visited her beautiful website, please do so now. While there, check out a video of her talk and book reading at Google. Here is what she said about my review. Namit Arora’s powerful review of Omprakash Valmiki’s Joothan: A Dalit’s Life for 3 Quarks Daily places this 1997 memoir in a personal, cultural, and literary context. 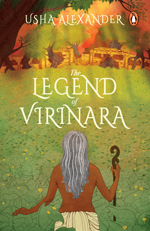 Arora gives a very moving portrayal of a kind of life I knew little about, an honest reckoning of the privileges of his own upbringing, and a thoughtful analysis both of Valmiki’s work in Hindi and its translation into English. I also wish to acknowledge my real source of inspiration for this review: Omprakash Valmiki, for writing such a powerful memoir. As I wrote in the review, it is "the kind of book that becomes ‘the axe for the frozen sea inside us.’" The best kind of literature does that; I think literary stories have the power to teach, awaken, and reach us in ways that other kinds of writing do not. Particularly gratifying to me has been the response to this piece from upper-caste Indians in my orbit, giving me hope that raising consciousness about past and present wrongs led by our communities is not a lost cause. I hope more people will open themselves to literary works from India that are neither originally written in English, nor are confined to urban middle-class worlds. Finally, I pledge to donate the prize money to one or more Dalit organizations engaged in the struggle. Here are two interesting articles about Steve Jobs. The first introduces his biological father who is from Syria, and the circumstances that led his biological parents to put him up for adoption in the U.S. (via 3QD). Steve Jobs, arguably the most influential CEO in the world, is the biological son of an Arab American who was born in Homs, Syria, and studied [in] Beirut. ... Abdul Fattah “John” Jandali emigrated to the United States in the early 1950s to pursue his university studies. Most media outlets have published little about Jandali, other than to say he was an outstanding professor of political science, that he married his girlfriend (Steve’s mother) and by whom he also had a daughter, and that he slipped from view following his separation from his wife ... The 79-year-old Jandali has deliberately kept his distance from the media [until now]. What makes Steve’s methodology different from everyone else’s is that he always believed the most important decisions you make are not the things you do – but the things that you decide not to do. He’s a minimalist ... The thing that separated Steve Jobs from other people like Bill Gates — Bill was brilliant too — but Bill was never interested in great taste. He was always interested in being able to dominate a market. He would put out whatever he had to put out there to own that space. Steve would never do that. Steve believed in perfection. Steve was willing to take extraordinary chances in trying new product areas but it was always from the vantage point of being a designer. So when I think about different kinds of CEOs — CEOs who are great leaders, CEOs who are great turnaround artists, great deal negotiators, great people motivators — but the great skill that Steve has is he’s a great designer. Everything at Apple can be best understood through the lens of designing. Also check out his Stanford commencement speech from 2005. And finally, from The Simpsons show, come satirical clips on Steve Mobs of Mapple (below), on thinking differently, and on a Mapple Store. A review of a memoir by an ‘untouchable’ starting in the 1950s in rural Uttar Pradesh. I grew up in the central Indian city of Gwalior until I left home for college. This was the 70s and 80s. My father worked as a textile engineer in a company town owned by the Birla Group, where we lived in a middle class residential quarter for the professional staff and their families. Our 3-BR house had a small front lawn and a vegetable patch behind. Domestic helpers, such as a washerwoman and a dishwashing woman, entered our house via the front door—all except one, who came in via the rear door. This was the latrine cleaning woman, or her husband at times. As in most traditional homes, our squat toilet was near the rear door, across an open courtyard. She also brought along a couple of scrawny kids, who waited by the vegetable patch while their mother worked. My mother often gave them dinner leftovers, and sometimes tea. But unlike other domestic helpers, they were not served in our utensils, nor did the latrine cleaners expect to be. They brought their own utensils and placed them on the floor; my mother served them while they stood apart. When my mother turned away, they quietly picked up the food and left. To my young eyes this seemed like the natural order of things. These were the mehtars, among the lowest of the so-called ‘untouchables’. They worked all around us, yet were ‘invisible’ to me, as if part of the stage props. I neither gave them much thought during my school years, nor recognized my prejudices as such. I, and the kids in my circle, even used ‘untouchable’ caste names as playful epithets, calling each other chamaar and bhangi. It’s possible that I first reflected on the idea of untouchability only in college, through art house cinema. Even so, upper-caste Indian liberals made these films and it was their viewpoint I saw. It is hardly a stretch to say that the way even the most sensitive white liberals in the United States knew and described the experience of black Americans is partly why one had to read Frederick Douglass, Zora Neale Hurston, Ralph Ellison, Richard Wright, James Baldwin, and other black authors. A similar parallel holds for Native Americans, immigrants, and women, as well as the ‘untouchables,’ now called Dalits (‘the oppressed’), numbering one out of six Indians. For some years now, they have been telling their own stories, bearing witness to their slice of life in India. Theirs is not only a powerful new current of Indian literature, it is also a major site of resistance and revolt. Joothan by Omprakash Valmiki is one such work of Dalit literature, first published in Hindi in 1997 and translated into English by Arun Prabha Mukherjee in 2003 (she added an excellent introduction in the 2007 edition). 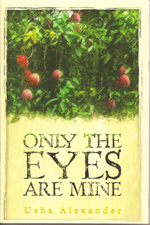 It is a memoir of growing up ‘untouchable’ starting in the 1950s outside a typical village in Uttar Pradesh. Told as a series of piercing vignettes, Joothan is also a remarkable record of a rare Indian journey, one that took a boy from extremely wretched socioeconomic conditions to prominence as an author and social critic. With the growing shift of Hindi Dalit literary voices from marginalised spheres of ‘alternative’ social discourse to more mainstream platforms, Hindi Dalit literature is quickly becoming deeply embedded in the changing cultural politics of modern India. But it is wrong to think of Dalit literature as speaking in a single voice in the Hindi literary and political landscapes. In what might be best categorised as the Hindi Dalit literary sphere, there exists a plurality of people, life experiences, literary voices and perspectives that often find themselves at odds with one another when trying to fulfil the demands of a mainstream audience for a recognisable, ‘authentic’ and even ‘digestible’ Dalit literary voice. There are fissures within the Dalit literary sphere, situated along the fault-lines of gender, geography (urban and rural) and class, which create a vibrant and vital field of debate over the strategies of ‘writing resistance’. Here is another article on the topic in the WSJ. My review of Omprakash Valmiki's Joothan with appear here and in 3 Quarks Daily on 29th March, along with pointers to other English translations of recent Dalit literature from other Indian languages. Who has heard of Norman Borlaug? I had not heard of him until now, after his death, when the Wall Street Journal calls him "arguably the greatest American of the 20th century". Borlaug's life work, the Green Revolution, is the reason the world is not starving today as it was half a century ago. As the individual responsible for spreading high-yield agricultural practices through the hungriest parts of the world, beginning with South Asia in the 1960s, he was honored with the Nobel Peace Prize in 1970 and the Padma Vibhushan in 2006. He changed the world, as much as did Louis Pasteur or the Wright Brothers, yet his name is commonly unknown outside the Developing World. And his contribution is today seen as controversial. Born in 1914 in rural Cresco, Iowa, where he was educated in a one-room schoolhouse, Borlaug won the Nobel Peace Prize in 1970 for his work ending the India-Pakistan food shortage of the mid-1960s. He spent most of his life in impoverished nations, patiently teaching poor farmers in India, Mexico, South America, Africa and elsewhere the Green Revolution agricultural techniques that have prevented the global famines widely predicted when the world population began to skyrocket following World War II. After his triumph in India and Pakistan and his Nobel Peace Prize, Borlaug turned to raising crop yields in other poor nations especially in Africa, the one place in the world where population is rising faster than farm production and the last outpost of subsistence agriculture. At that point, Borlaug became the target of critics who denounced him because Green Revolution farming requires some pesticide and lots of fertilizer. Trendy environmentalism was catching on, and affluent environmentalists began to say it was "inappropriate" for Africans to have tractors or use modern farming techniques. Borlaug told me a decade ago that most Western environmentalists "have never experienced the physical sensation of hunger. They do their lobbying from comfortable office suites in Washington or Brussels. If they lived just one month amid the misery of the developing world, as I have for 50 years, they'd be crying out for tractors and fertilizer and irrigation canals and be outraged that fashionable elitists in wealthy nations were trying to deny them these things." 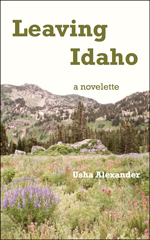 The inspiration for this novel was a journey made by a 7th cent. CE Chinese man, Xuanzang. Though raised in a conservative Confucian family near Chang’an (modern Xian), Xuanzang, at 13, followed his brother into the Buddhist monastic life (Buddhism had come to China around 2nd cent. CE). A precocious boy, he mastered his material so well that he was ordained a full monk when only 20. Disenchanted with the quality of Buddhist texts and teachers available to him, he decided to go west to India, to the cradle and thriving center of Buddhism itself. After a yearlong journey full of peril and adventure, across deserts and mountains, via Tashkent and Samarkand, meeting robbers and kings, debating Buddhists on the Silk Road and in Afghanistan—where he saw the majestic Bamiyan Buddhas—he reached what is now Pakistan.